We are located in North Snohomish County in Arlington, Washington 45 miles north of Seattle. We are a small farm consisting of quality animals. We have a manageable herd, so our goats get excellent individual care. 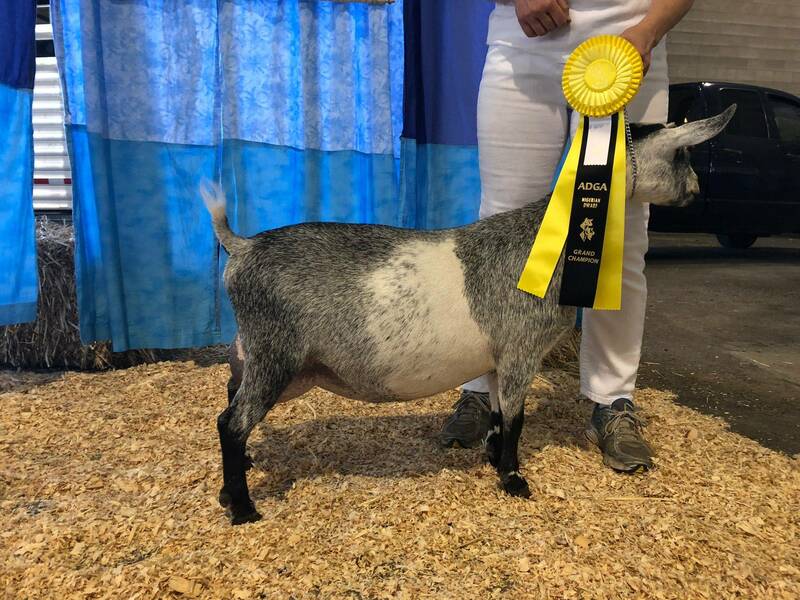 Our goal is to breed exceptional goats from excellent milk lines that are friendly and a joy to own. Our motto is: Breeding for Type and an Udderly Full Bucket. We will strive to improve on the breed! SG Leisure Time TW MoondustMayhem 5*M has matured into a lovely two year old this fall of 2016. At the Evergreen state fair she won Grand Champion, Best of Breed and Best Udder. :-) She made me very proud. 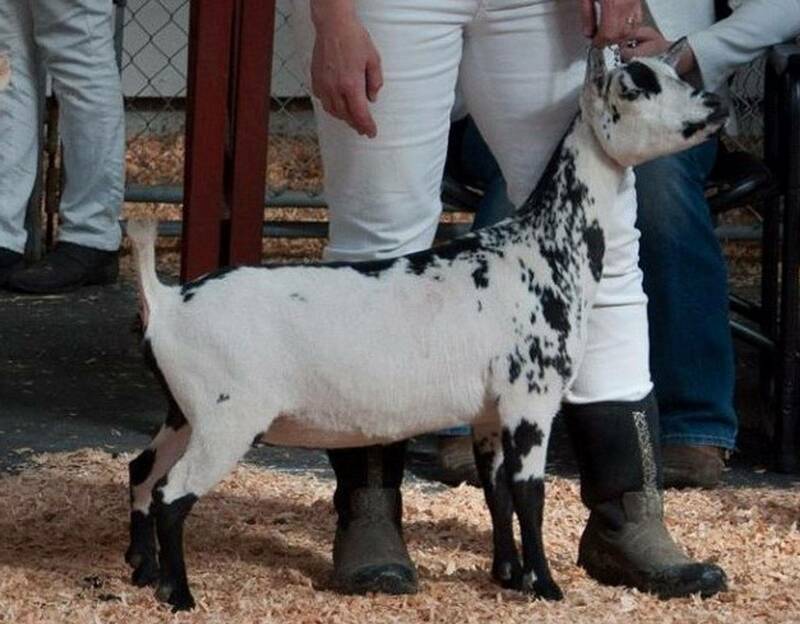 She also won her class at the Washington State fair. Other highlights of 2016 is Sundae finished his championship at the NWABGC show, he is now CH Leisure Time CF The Works. Leisure Time TT Silversn Style won a reserve as a yearling FF and Leisure Time TT Endless Echoes won a Grand and a Reserve at the NWABGC show also. 2017 Evergreen State fair Sophie, Joy & Style winning Dairy Herd A funny pic of Sophie screaming in Joy's ear. A lot happened this year 2018, Mayhem became SGCH Leisure Time TW MoondustMayhem 5*M, she won her final leg at the SWWDGA show against 72 other milking does. In the second ring her half sister Joy won a leg and then in the last ring Sophie won a reserve. At the Udder Spectacular Joy won her final leg to become our second finished champion of the year, she's now GCH Leisure Time TW Silver Joy 3*M. We took a few jrs. to show this year and Leisure Time Fav Colr is Krome won her Jr. leg and then went on to win Best in Show. Leisure Time PD Joyful Antics won a reserve also. We went to quite a few shows this year all the way to Salem where Style picked up another leg,she needs one more to finish. Joyful Antics "Annie' picked up her Jr. leg in Salem. Then we had a week home before going to the NEWDGA show in Spokane. Paris won a reserve in the Nubian specialty, she was the youngest doe. :-) and Leisure Time ZZ Tigerlily won her Jr. leg. LA this year Mayhem earned a VEEE 91 as a four yr old and Joy earned VEEE 90 as 4 yr old. We weren't going to fair this year but decided to go to Evergreen state fair, Update we went to the Evergreen state fair results: Leisure Time ZZ Adalaide Hall won Grand, Leisure Time ST Good & Plenty won Reserve for the Jr. Does and then Leisure Time TW Smooth Jazz won Reserve Grand for the senior doe show. We won all the Group classes Dairy Herd, Breeders Trio, Dam & Daughter, Produce of Dam, Senior get of Sire, Sundae's daughters won that again. We took second in Dam, Daughter and Granddam. Also second in Best udder with a first freshener. Over all had a stellar year. I am going to be selling Leisure Time TT Silver Coconut *B 500.00 and Leisure Time GL Satyr $500.00 this year also. I need to sell some bucks I am planning on keeping a young buck this year. You can view them on the buck page.